Making your warehouse more productive doesn’t have to be hard work. In fact, it is actually way easier than ever before when you look at the technology that is available. 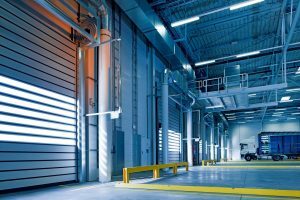 Robotic automation can help you to boost your warehouse productivity by a significant amount, and it can also help you to increase savings as well. This is especially the case when you look at the room for error margin. If automation is far too expensive for you to invest in right now then software is what you need to be looking at. Software can help you to save time, money and effort, not to mention that it makes your employee’s jobs much easier. It doesn’t matter whether it is through employee incentives, automation or anything else because you should always be trying to boost your labor productivity. The best way for you to do this would be for you to run productivity tests. This will help you to know who is under performing, who is outperforming and so much more. From there, you can then begin to work out who is the weakest link in the chain, before giving them additional training and support. It may also be worth looking into slat conveyor design to try and help your employees to work at a speed which suits them. On the production floor, space can be very limited. It’s really important that you take advantage of every inch of it. Pallet racking is a great option because it helps to keep your workers safe and it can also increase warehouse efficiency as well. 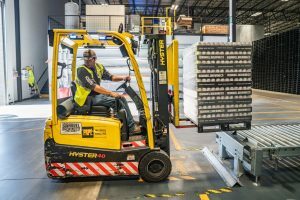 If you have never considered pallet racking before then you will soon find that it utilities vertical space as well as horizontal space, not to mention that it doesn’t impact productivity either. Workplace injuries often happen as a result of musculoskeletal disorders. This can include muscle strain, tendinitis, lower back injuries and so much more. If you want to reduce the chances of your workers being injured then you need to design the workstation according to the task-at-hand and the worker who is operating the station. You need to ensure that the work surface height is the same as the conveyor or even the roller at floor level. When you do this, you can then boost efficiency while also helping your team to stay safe. It’s also important that you determine whether the picking method you have right now is going to suit the warehouse for your business. You need to make the right picking choices and you also need to analyse the process from time to time. This is especially the case if you are starting to see dips in your production. Of course, it also helps to make sure that you really put the work in to support your employees as well to make sure that they are picking according to the way that they think is most efficient. After all, if you don’t work with the people who are doing the job then you can never hope to get the insight you need to make things easier for them.